Following a successful year of running forest school sessions and ensuring all our children had the opportunity to attend, we reflected on the journey thus far and on our feelings as a team about what we could do to improve the experience for the children. Our overwhelming conclusion was that there just was never enough time and it impacted many aspects of the program and children’s opportunities to deeply integrate the learning they had begun. Due to taking such a large number of children to sessions through the year from the nursery to kindergarten rooms (a total of 90 children who attend our service), we are limited in how many sessions we can offer each child. In 2017, each child was able to attend three half-day sessions (from 9am till 11am). 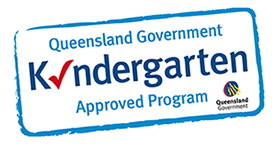 As valuable and popular as these sessions were, we found that, more often than not, the children would just begin to be completely immersed and engaged in their experience when we had to interrupt and uproot them to get back to Kurilpa in time. There were often complaints from the children that they hadn’t finished what they were working on and we heard over and over again their groans of “nooooo! I’m not ready yet!”. 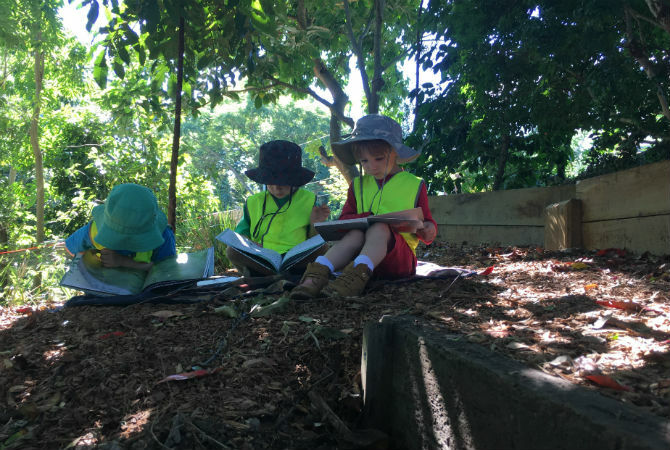 As we reflected on alternative options, we were reminded of the full-day experiences we had provided for the kindergarten and junior kindy classrooms to celebrate Nature Play Qld’s “Outdoor Classroom Day” towards the end of 2017. We had marvelled at the change in children’s approaches to play and engagement during the full-day experiences, noting that they had been able to complete projects, continue their immersed experiences for as long as they needed to and built a stronger connection with the space. Because of this, we decided to launch our forest school program for 2018 with four days instead of three and with full-days instead of half. 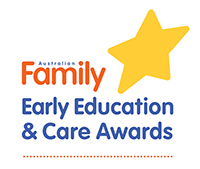 This meant that now our children would be out from 9am till 3pm and their day would include having lunch outdoors (often utilising the seasonal offerings of the community garden) and including a rest under the shade of the large Poinciana tree at our site before heading back for afternoon tea with their peers. Since introducing the full-day sessions, we have marvelled at the change in the children, as well as the educator’s attending. We are now seeing the children’s learning has deepened significantly and they are retaining much more of the information and skills they obtain during their experiences. The educators are able to relax into the day and don’t feel the need to rush the children or themselves, allowing for more collaborative co-construction of learning.